The most recent issue of Compressed Air Best Practices Magazine, the leading industry publication for facilities which rely on compressed air, features a case study which shows how an annual savings of $215,000 was achieved by Chicago Heights Steel. 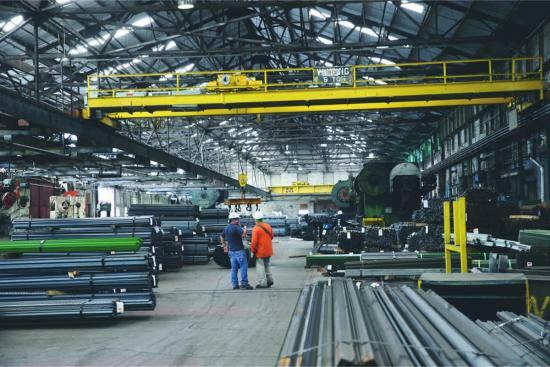 The payback time on the investment was less than 3 months while the savings will accrue annually for this specialty steel mill. The investment includes a permanent, full-time state of the art monitoring system by Airleader which will ensure Chicago Heights Steel can continually monitor and maintain the system make adjustments and improve efficiency long after the air auditor has left. The system is easy for maintenance personnel to use and users can easily visualize what is taking place in the system through datalogging. To read the feature article, click here: Compressed Air Best Practices Magazine, Chicago Heights Steel Saves $215,000 Annually.